Remember my stack of fabric from last week? It’s now a quilt top. 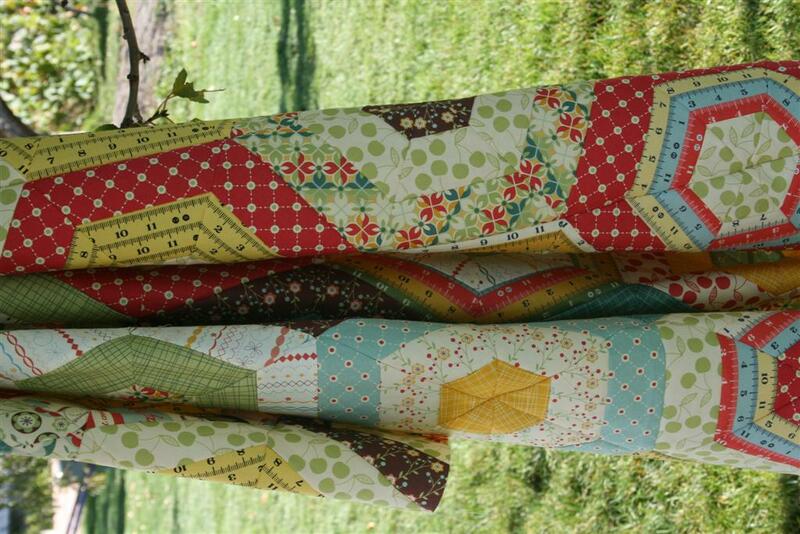 This is one of two quilts I promised myself I’d make in/for the fall. I intended to do it in September, but as you can see, I’m running behind. 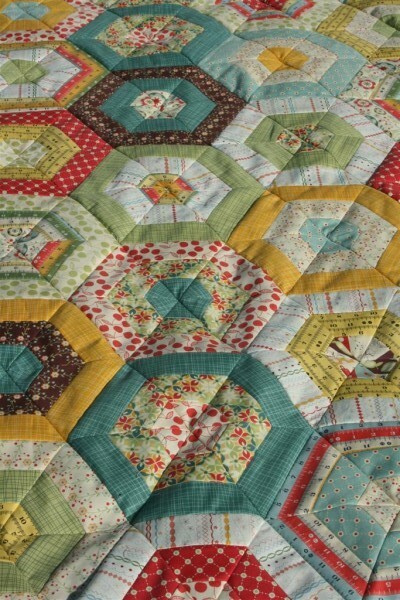 The pattern I used is Merry-Go-Round by American Jane. I also bought their set of equilateral rulers because I didn’t have any. It made the cutting fast and easy. Rather than purchase three jelly rolls (yikes, expensive!) I used yardage I already had. 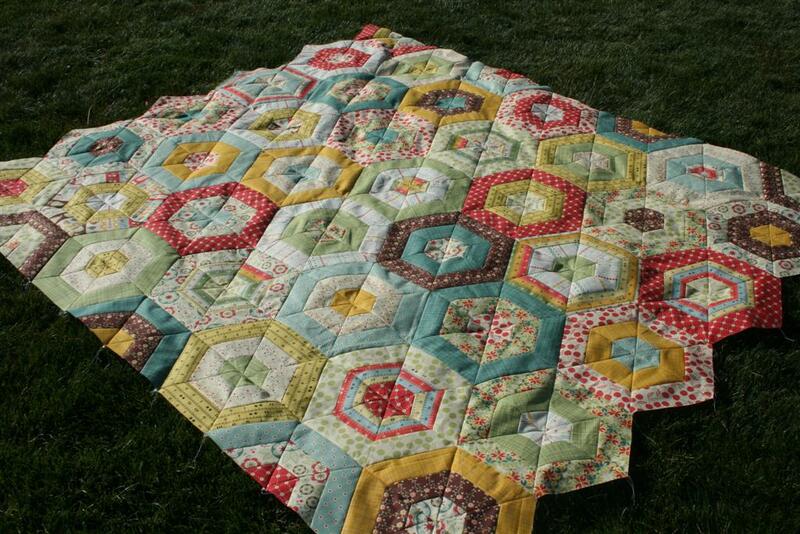 I made the quilt a little bit smaller, taking off three rows, but it’s still a big quilt. 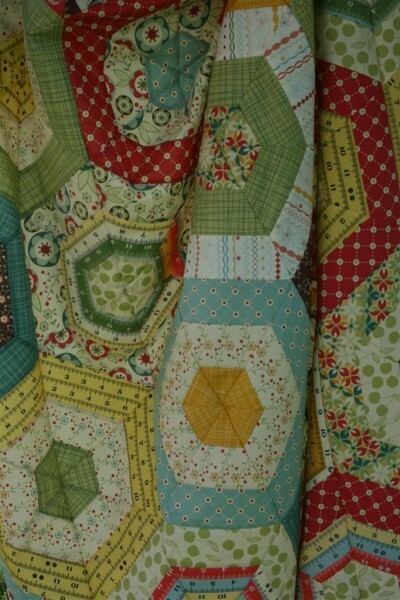 One of my favorite elements of this quilt is the addition of tape measure prints from the Tailor Made collection. They add a lot to the quilt and I’m glad I chose to include them. 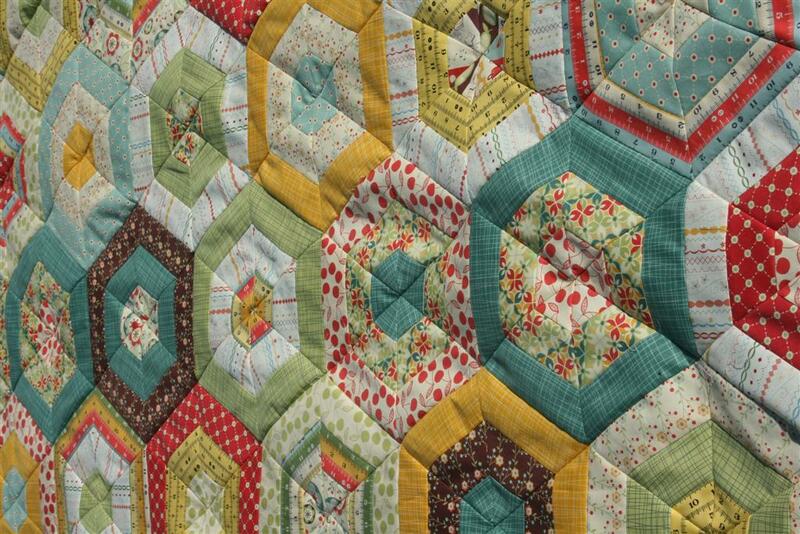 The big question now is how to quilt it. 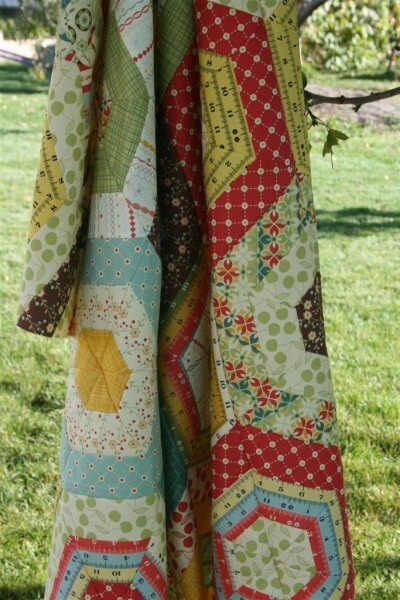 If I knew how to do free motion quilting, I’d probably opt for that, but this quilt would be too big to learn on, and I’m sure I’d ruin it. 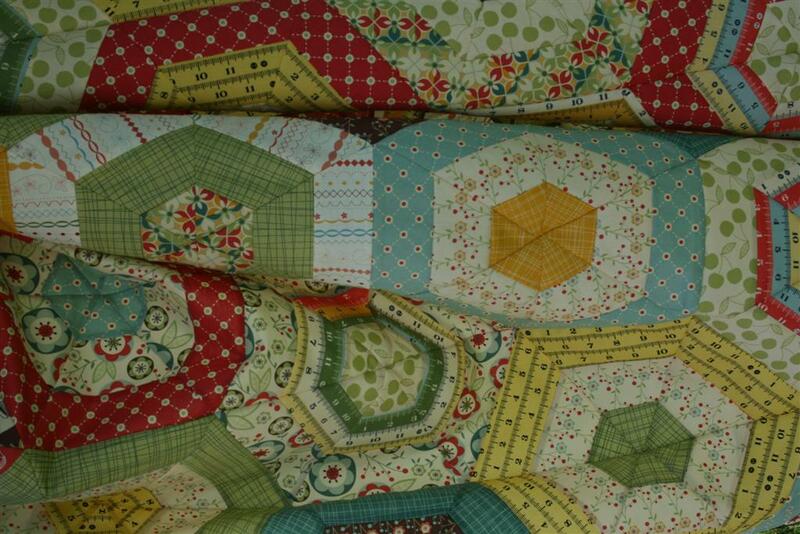 So I’m going back to finish another quilt while I think about this one. wow. I’m still working on the postage stamp quilt. How you sleep and function and do everything else is amazing to me. es un gran trabajo, fantástico!